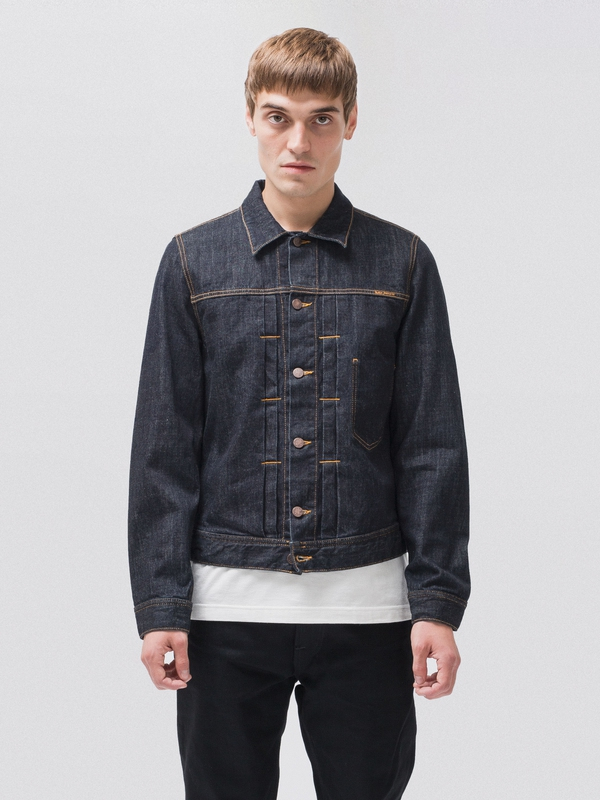 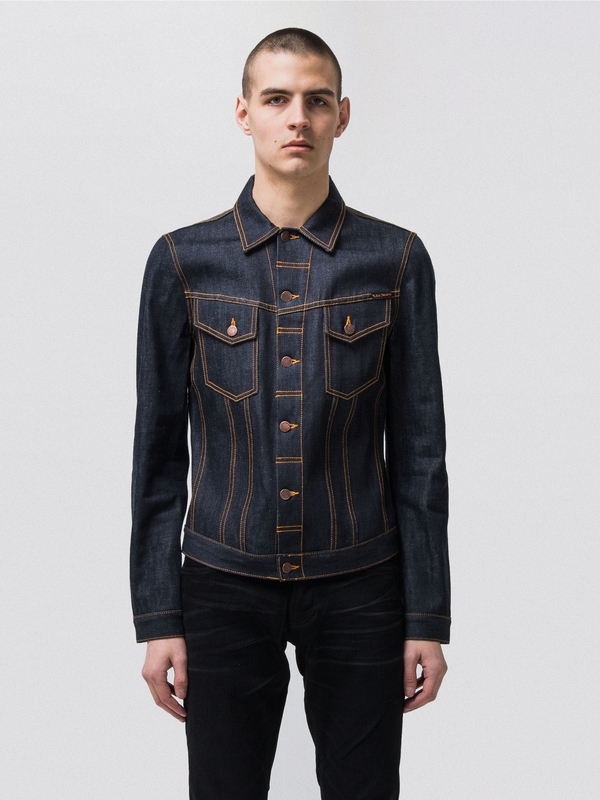 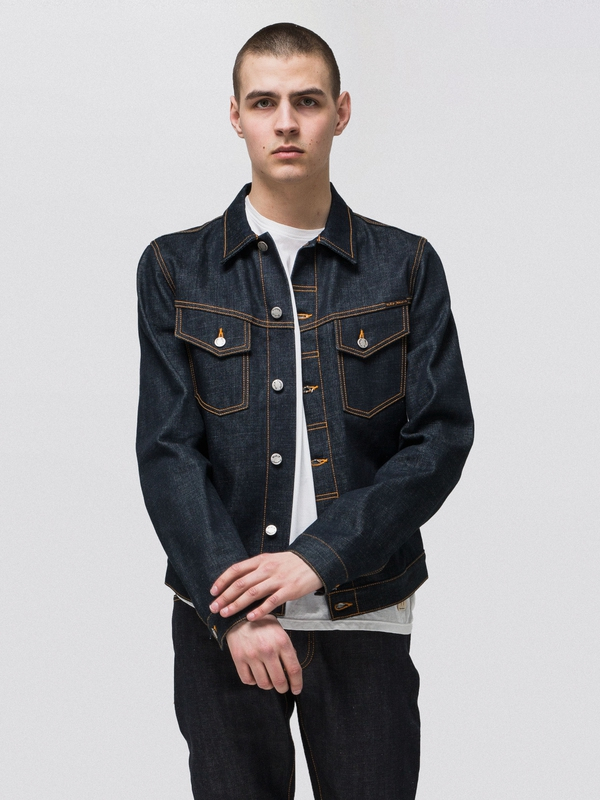 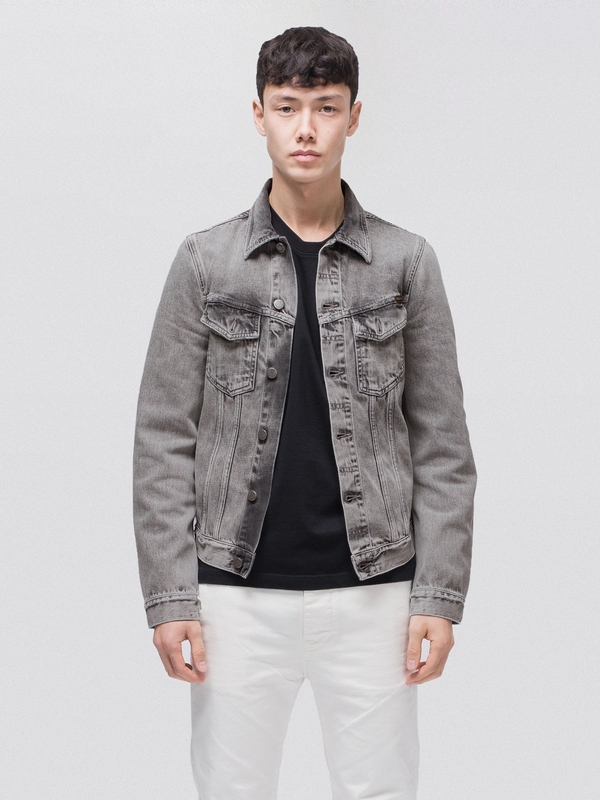 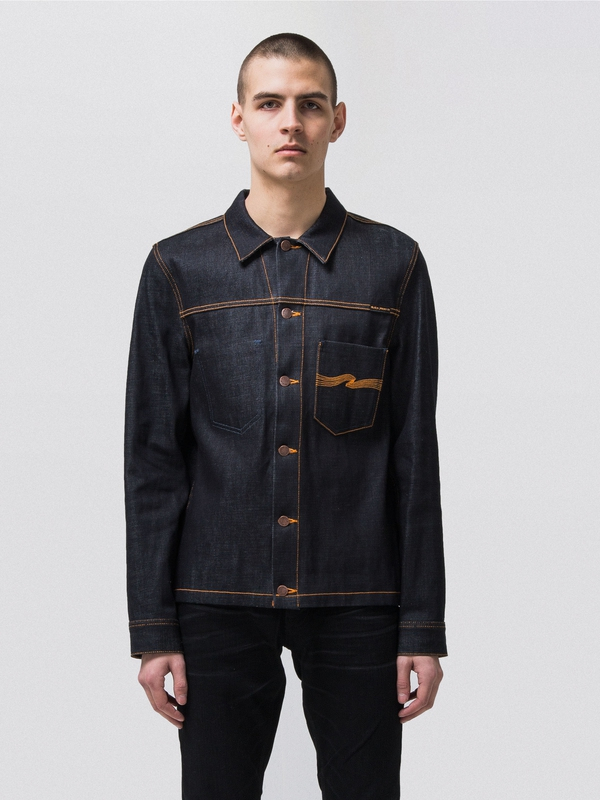 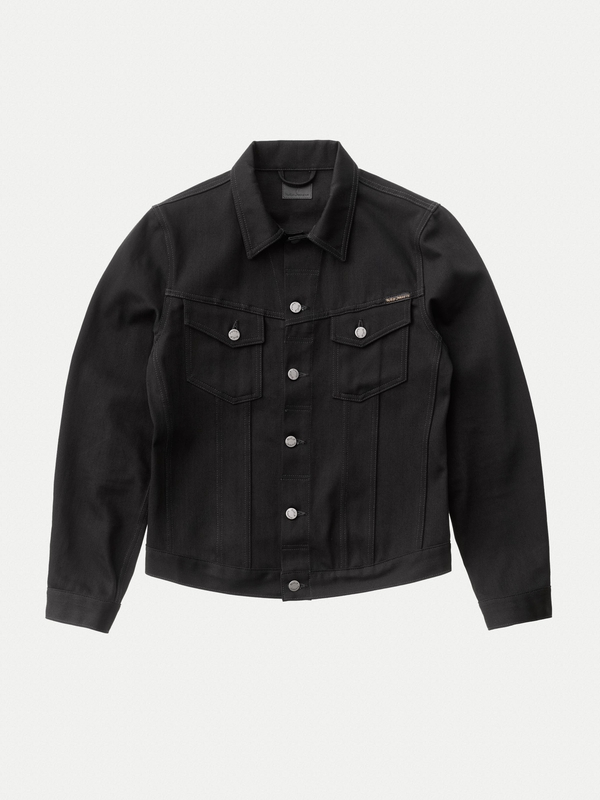 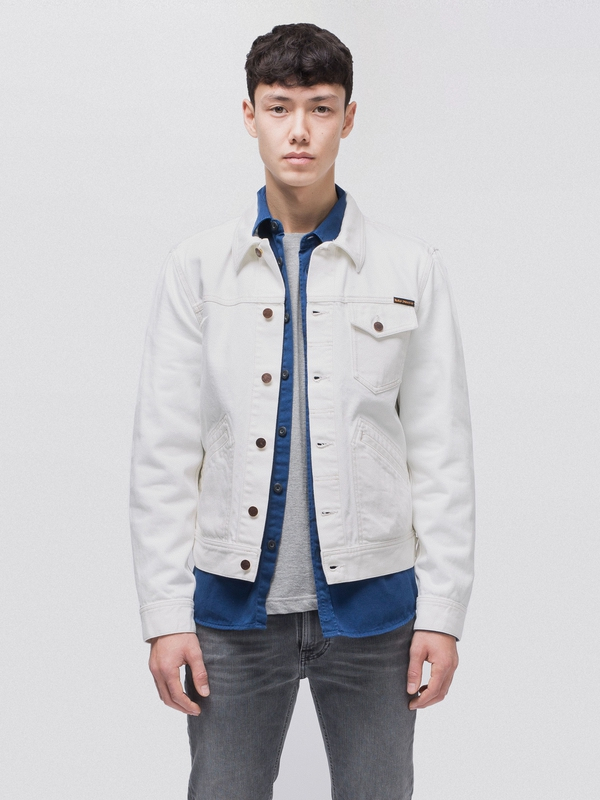 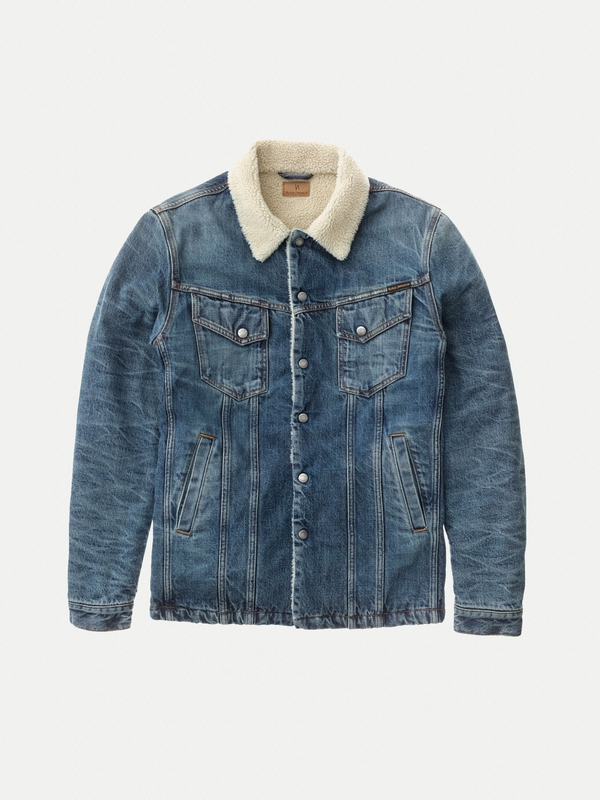 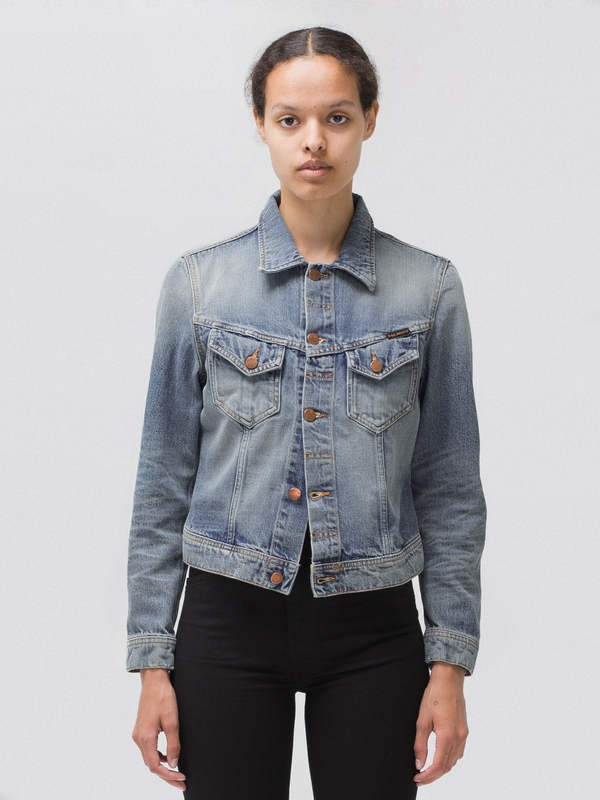 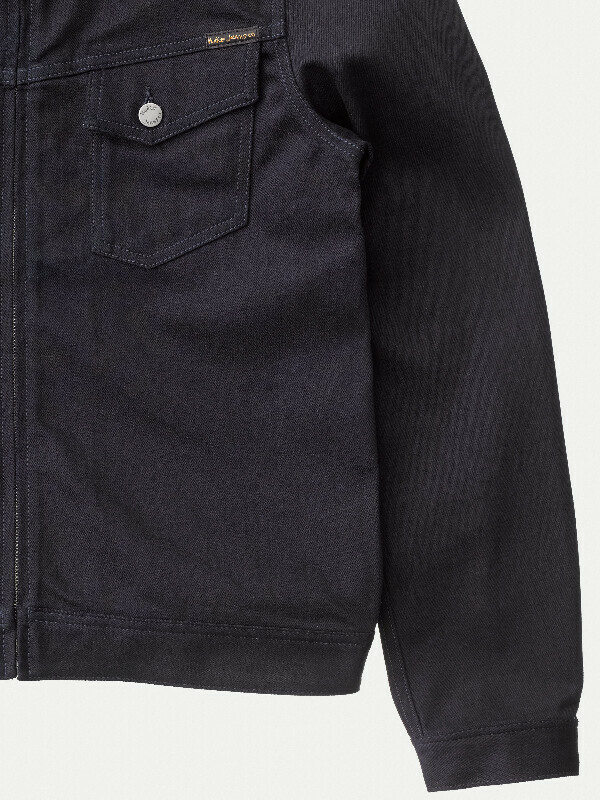 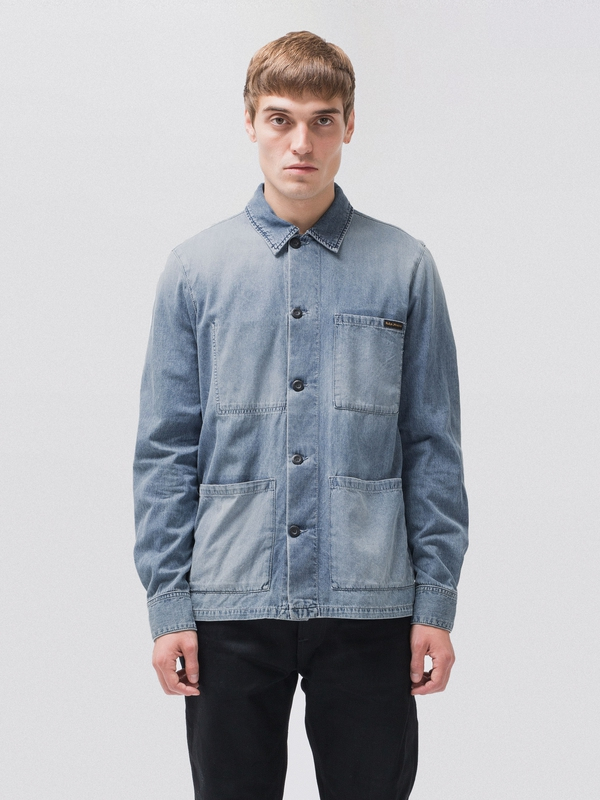 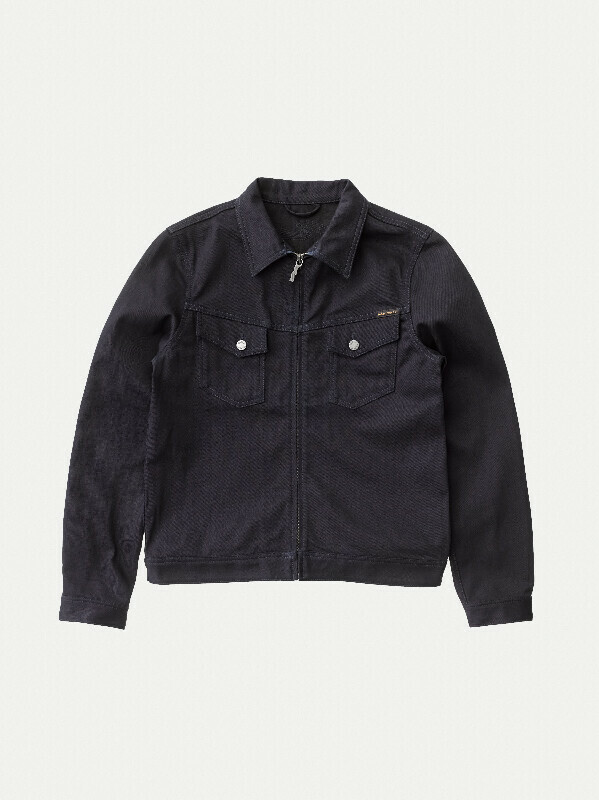 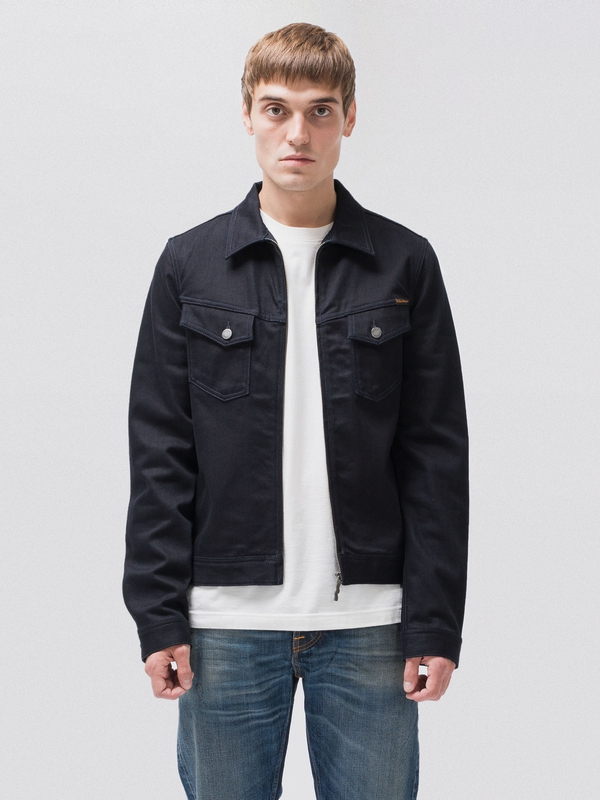 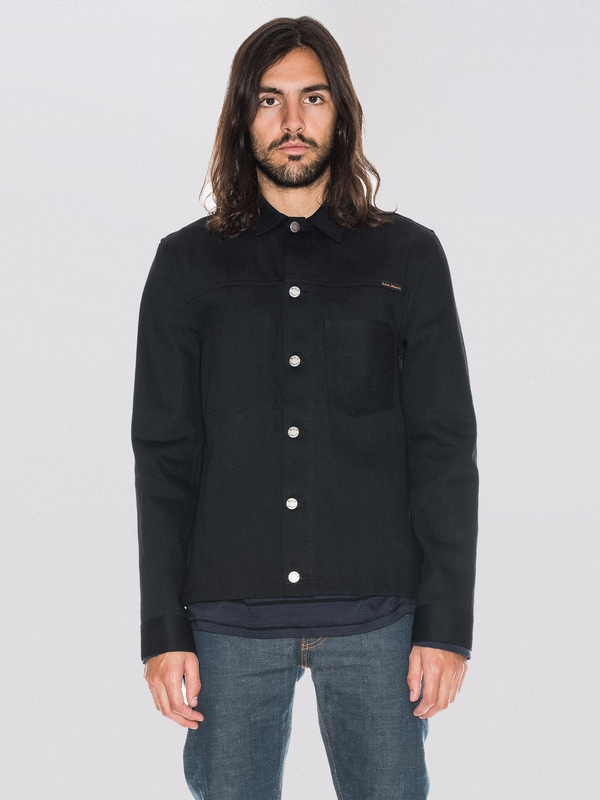 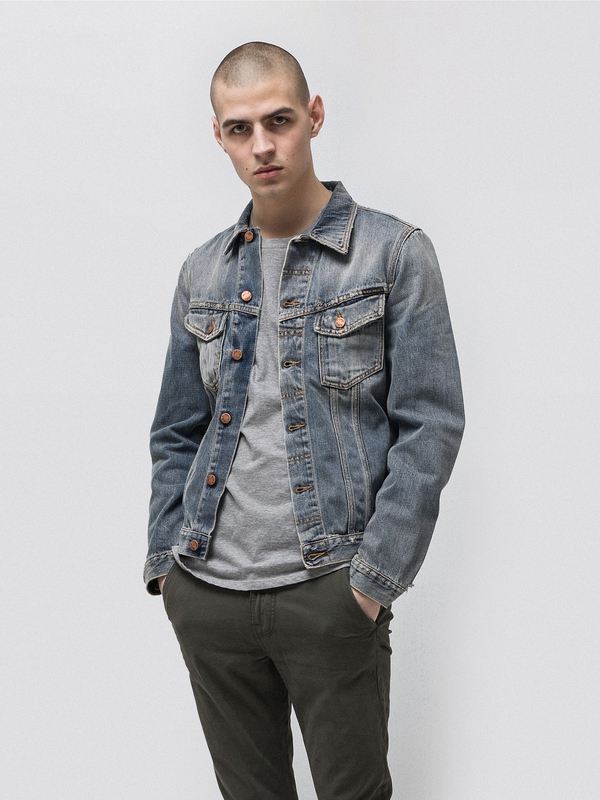 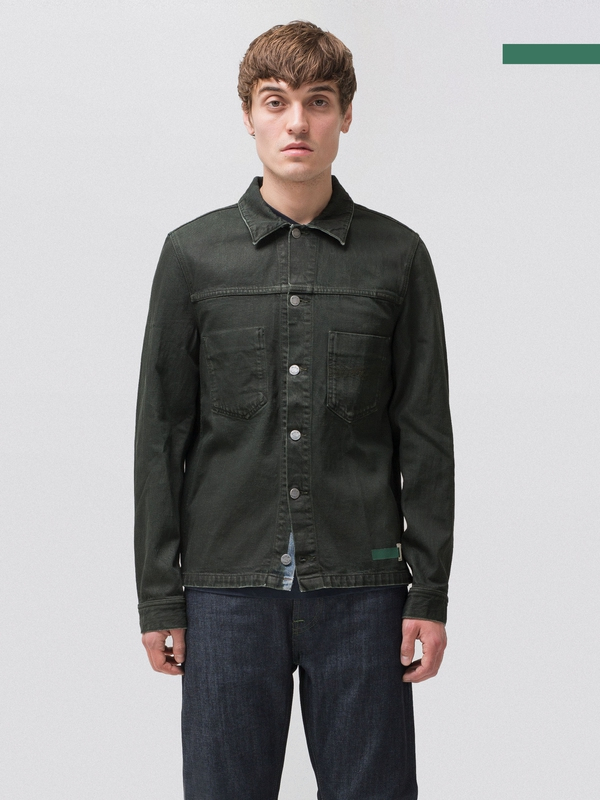 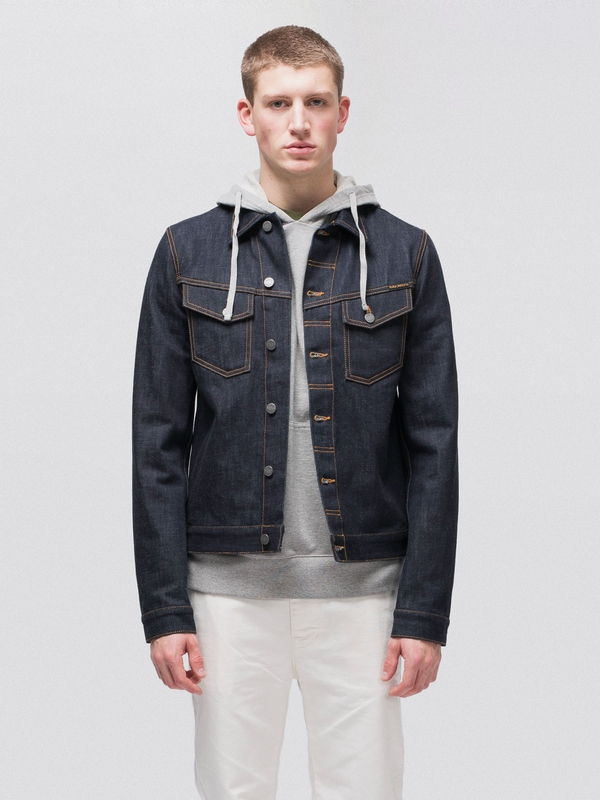 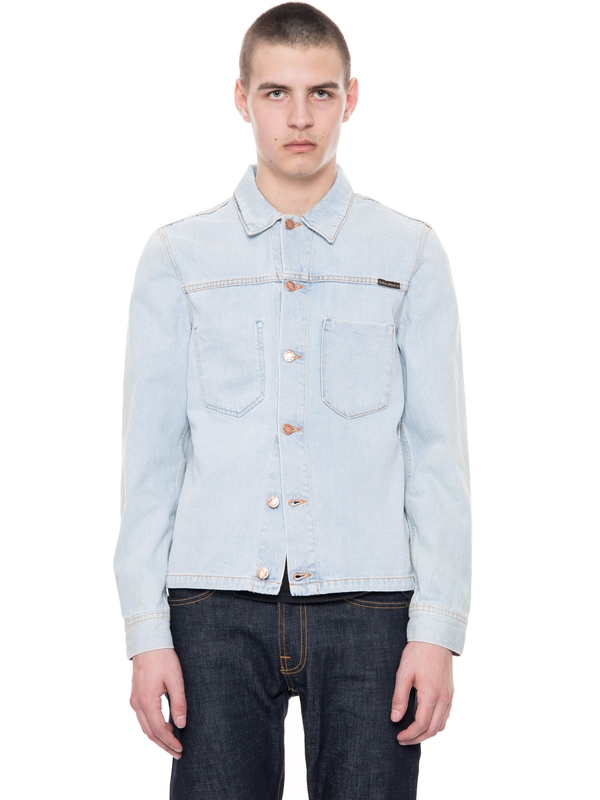 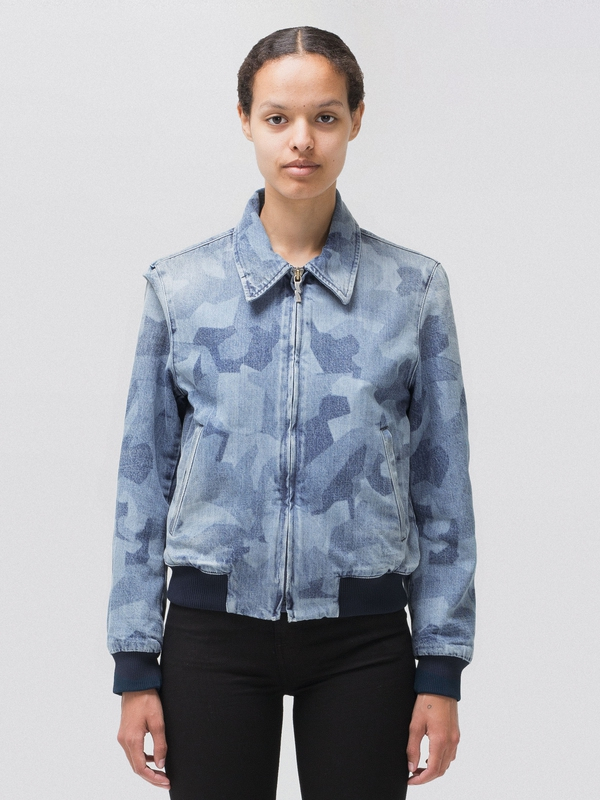 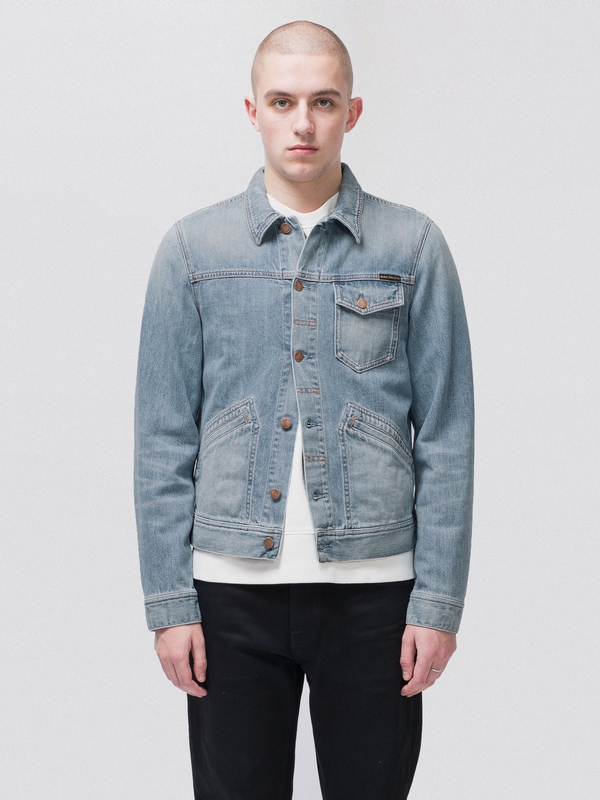 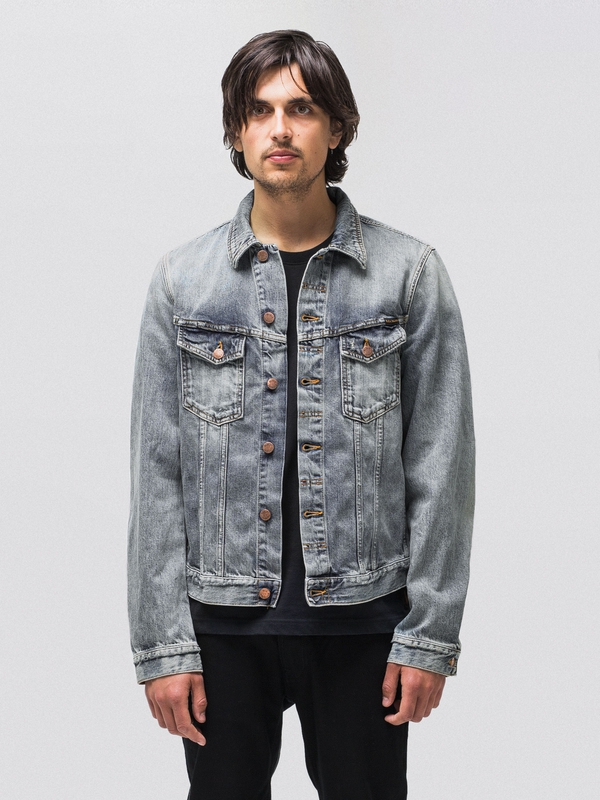 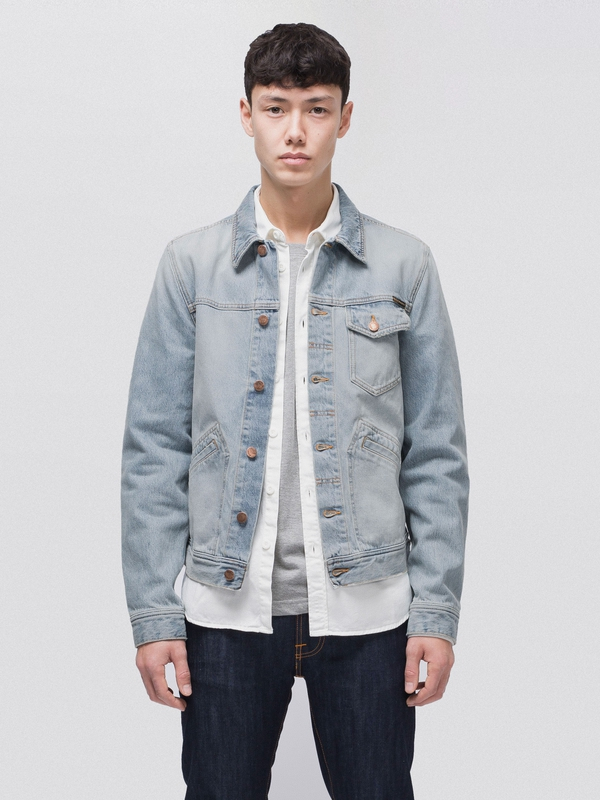 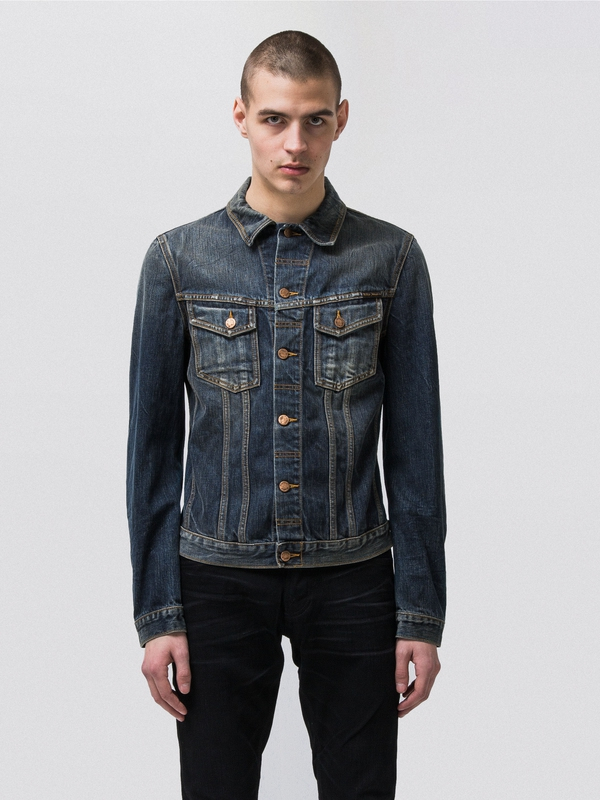 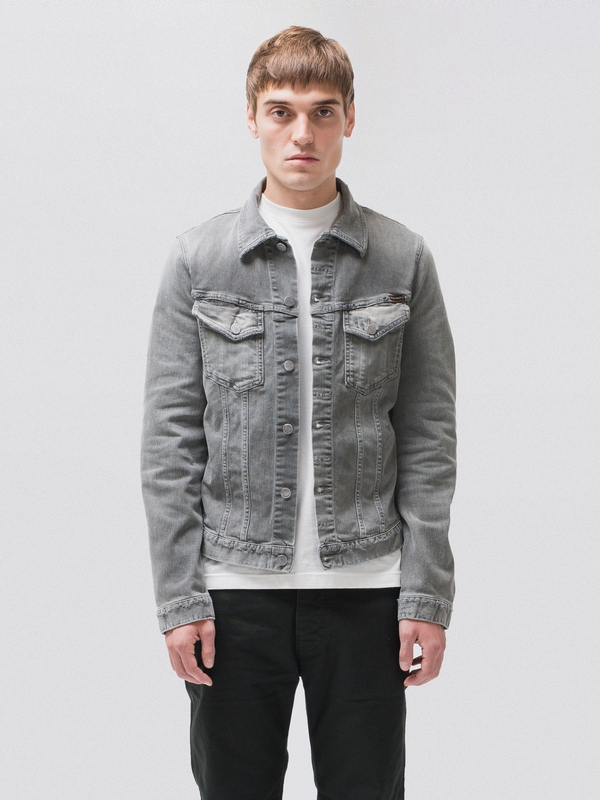 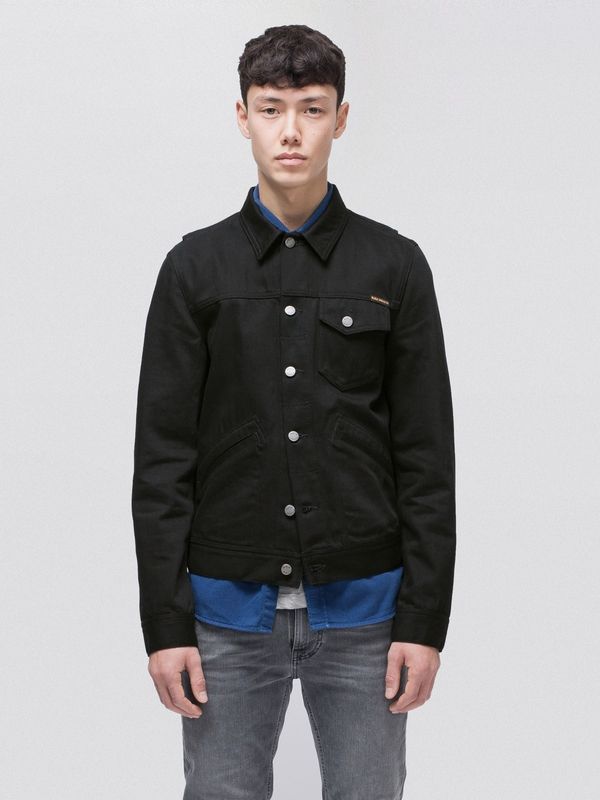 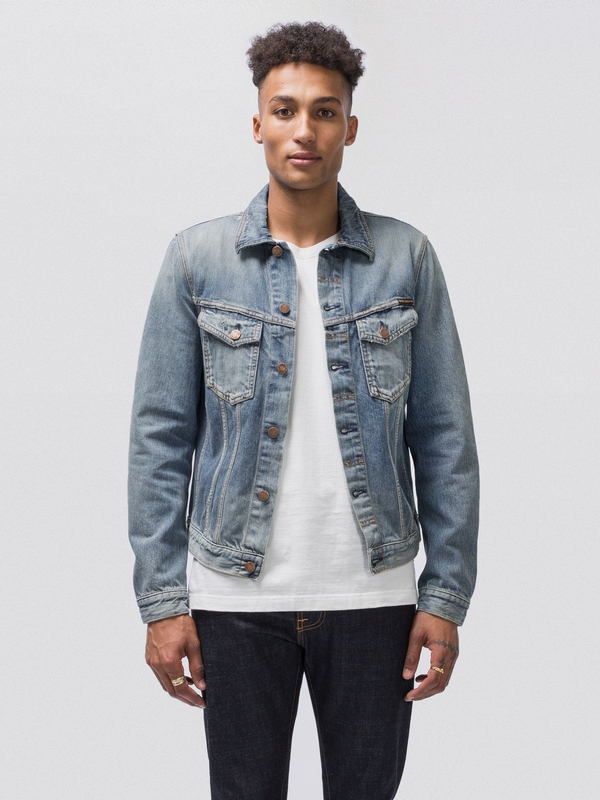 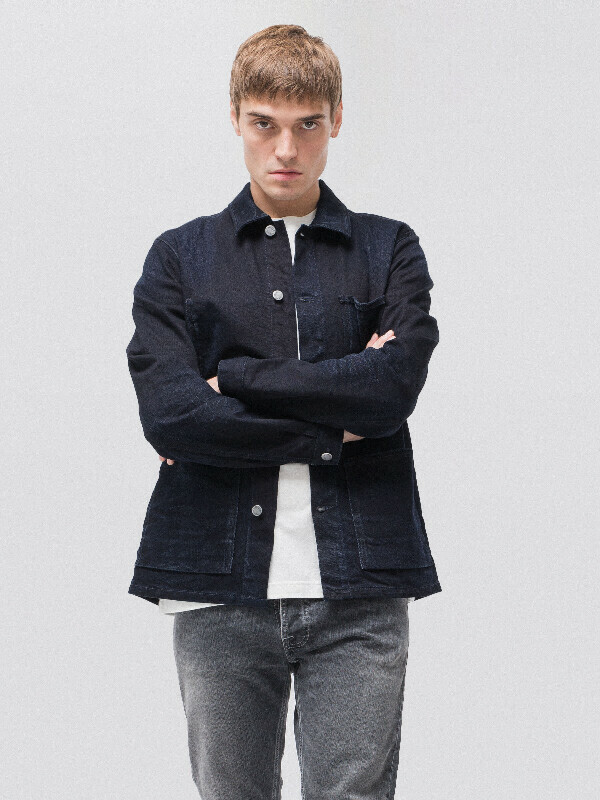 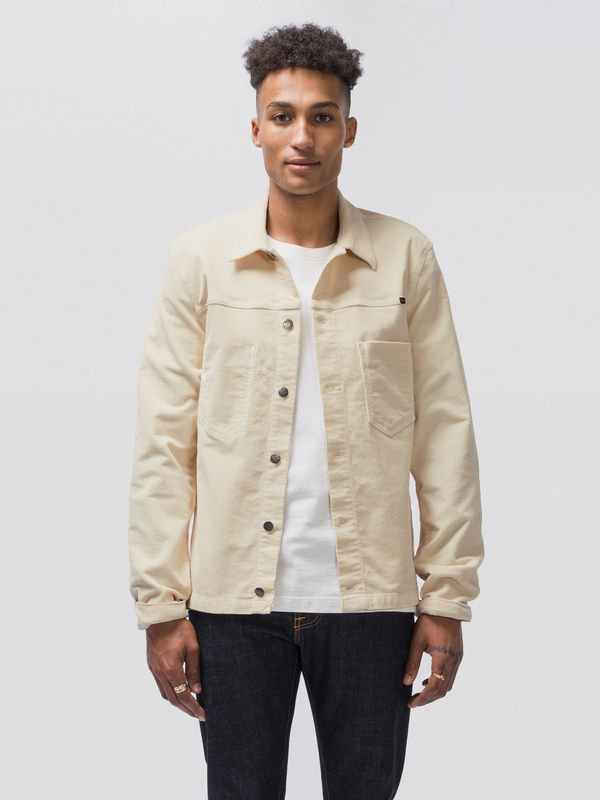 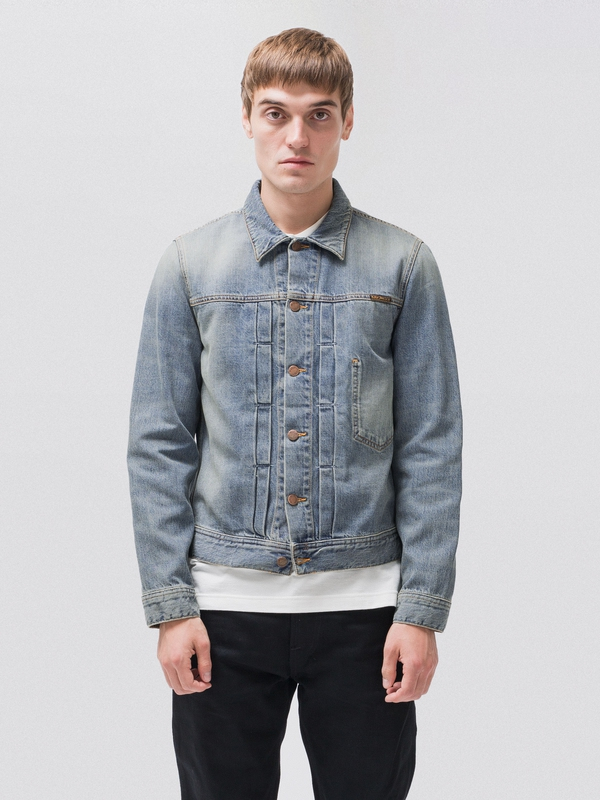 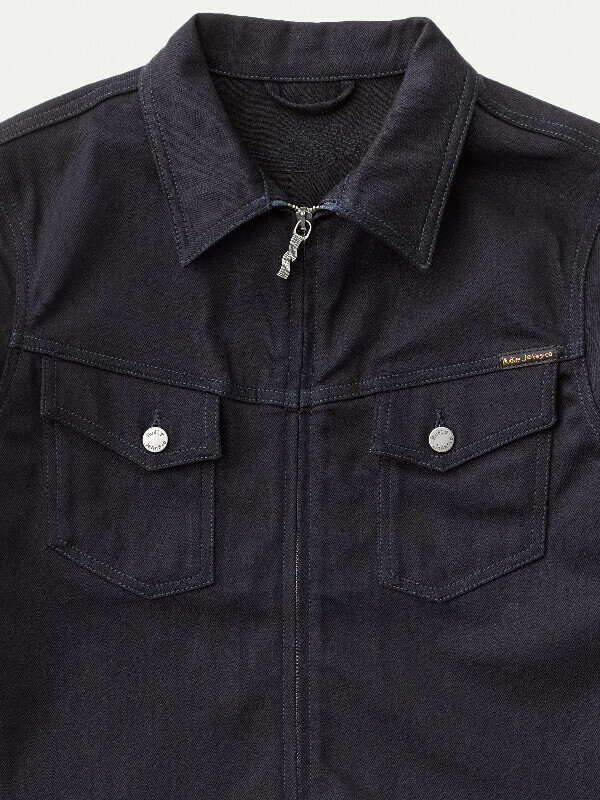 Denim jacket made in comfort stretch denim with clean flat surface. 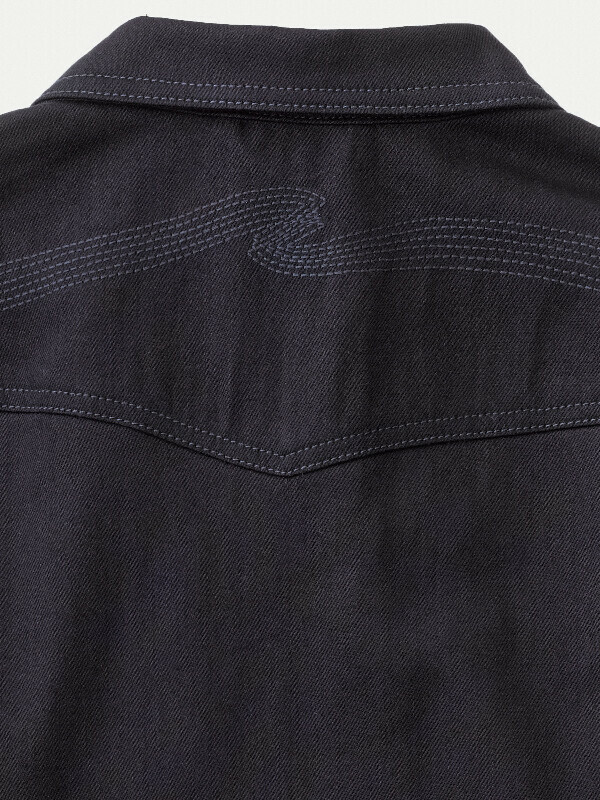 It's made with indigo warp and black weft that gives a rich, deep, dark blue shade. 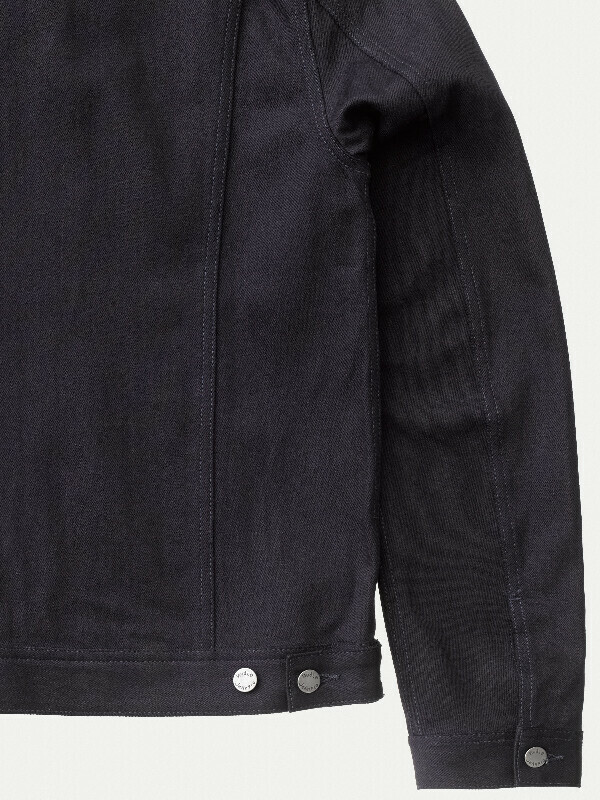 The core of the yarn is still white and will be revealed with wear and tear, creating great contrasts. 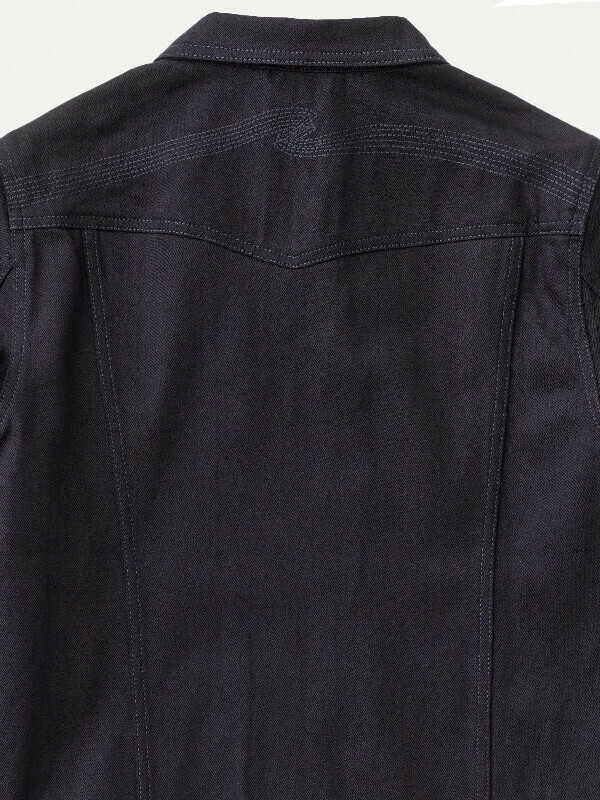 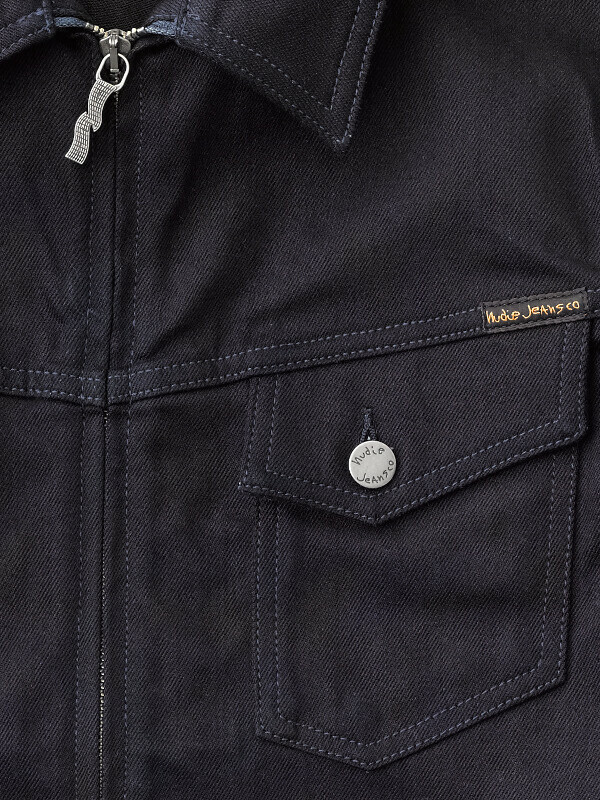 However, the navy threads for seams and back pocket embroidery will preserve the dark character even after wash.